Draft and curved cylinder for mounting jewelry. 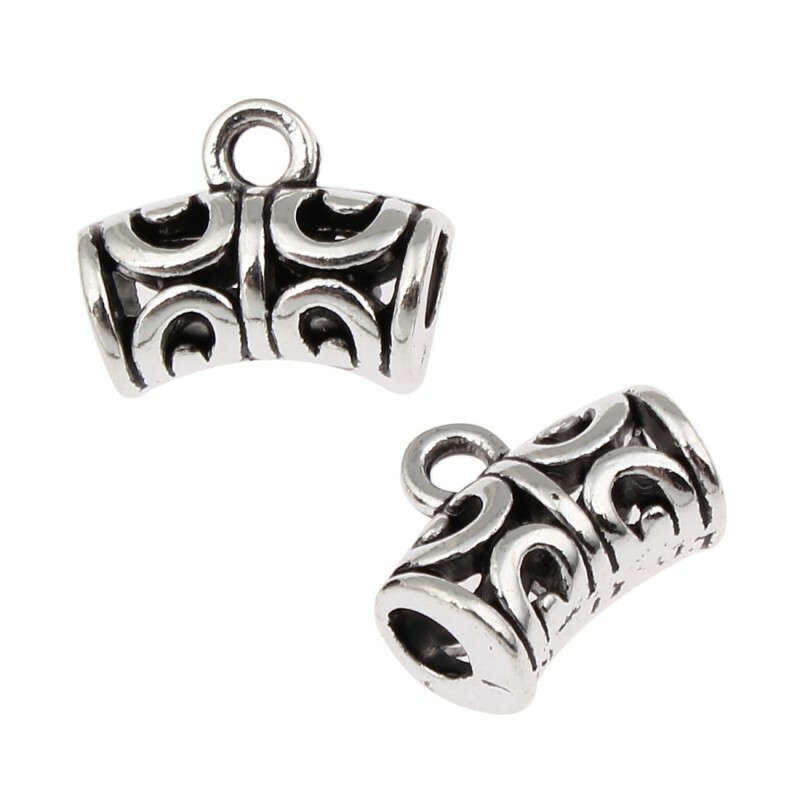 This bail with shape of draft and curved cylinder is ideal for mounting jewelry, since he can be attached to a ring with a pendant. 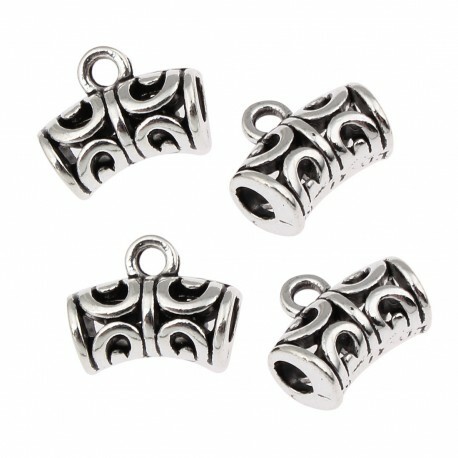 It has been made of an antique silver color zinc alloy and measures 10 mm x 12 mm, with a hole for threading of 2 mm and a hole of 3 mm diameter. Each bag contains about 10 pieces.